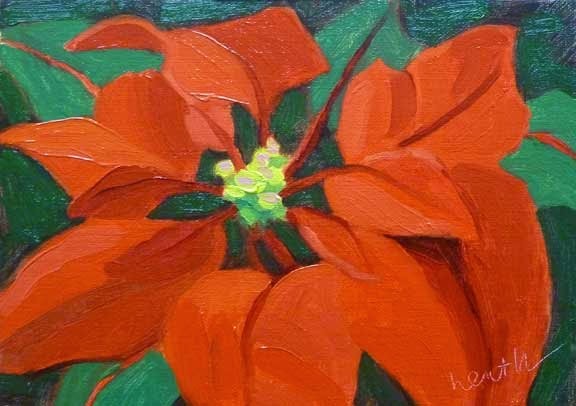 Bobbi Heath Paintings: "Poinsettia II"
Here's another go at the Poinsettia. 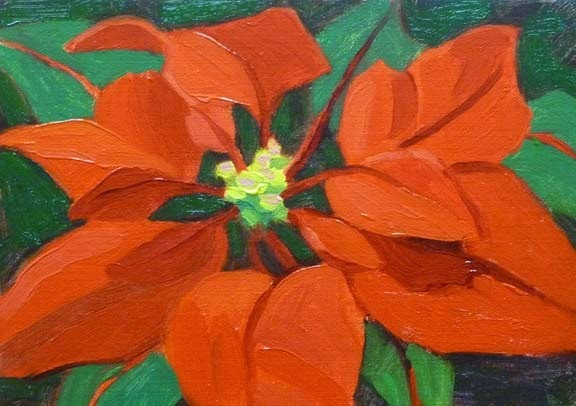 I've actually cut off the small red leaves in the middle on all of these, because otherwise the center is just a mass of red, and I like having some dark shapes there. Can you see the differences in the sketch and the final painting? The lifting of the bottom left leaf in the draft painting, made me want to lift the right one as well. Don't you think that helps the composition? I've taken to going for a walk or doing something around the house for a few minutes and then coming back to check things before cleaning up. There's usually something I want to change! Wouldn't this one make nice wood cut? Great design! Yes, it would make a nice wood cut but it is even better in oil! This is definitely my fave. Great composition too. A little cut-up to focus the eye, eh? As my grandson says, "It's a painting, you can do anything." I like seeing your sketch and the final art. 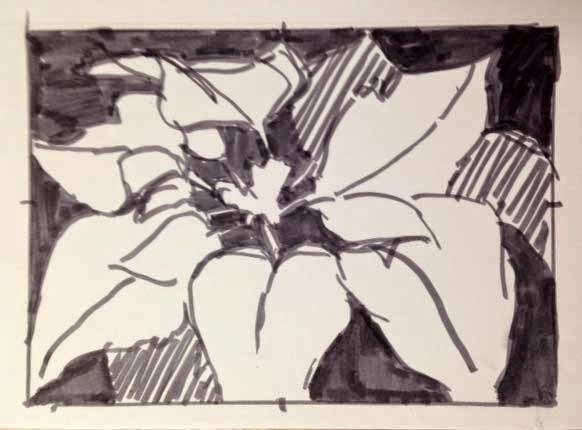 And looking at your sketch, you've already got your wood cut started. "Always Happy to See Me"